Pinar Ontas is a qualified integrative therapist who has extensive experience of working with people from different backgrounds especially those affected by domestic abuse. 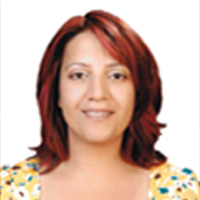 She is a board member of ITSEB (Turkish speaking health professionals in the UK) and runs her own practice in Haringey and Winchmore hill. She is close links within the Turkish and other BME organisations in UK.